East Coast Language College (ECLC-- formerly ECSL) is the multi-year award-winner for Best Language School in Halifax and was the winner of the Bronze Award for International Business of the Year for 2016 from the Halifax Chamber of Commerce. ECLC is one of the oldest language institutes in Halifax, has more university & college pathways than any other local English school and has the highest success rates for our graduates. Our dynamic General English programs, summer programs, IELTS Preparation and Certificates for Teaching English are popular with students from around the world. Students who go on to study at one of our Pathway Partners qualify for a Canadian work permit after they graduate from a Canadian college or university. 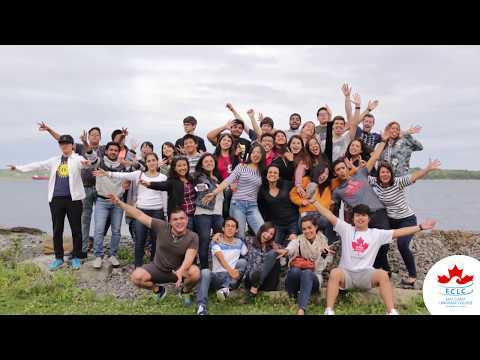 With an exciting social activity program and its location in the beautiful and affordable coastal city of Halifax, ECLC is the one of the best choices for studying in Canada. University & College Pathway (UCP). UCP is for students who plan to attend one of ECLC' s many university or college partners for undergraduate, some post-graduate, certificate or diploma programs. The UCP program is intensive and is designed as solid preparation for academic success. Students can start the pathway in Level 200, allowing them plenty of time to master the skills they need for academic study. ECLC's UCP 500 is a bridging level and students who successfully complete this level gain direct entry to partners colleges and universities with no IELTS or TOEFL score required. All of our partner institutions provide Conditional Letters of Acceptance to both ECLC and to the institution. Check out our website for a full listing of our pathway partners in Nova Scotia, New Brunswick, PEI, Newfoundland, Ontario, Saskatchewan and the USA.